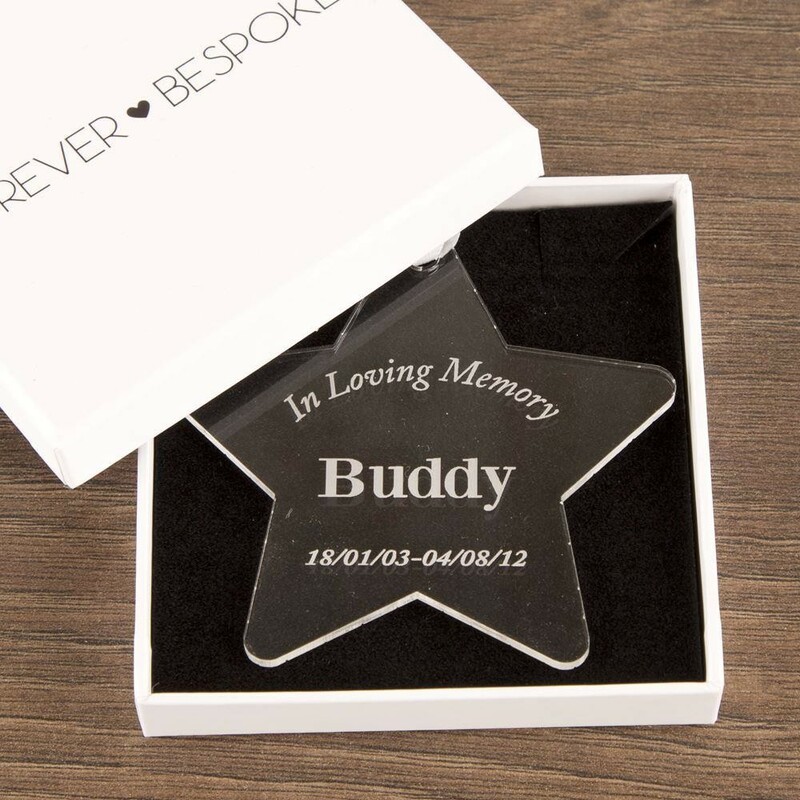 This star is a beautiful momento to remember a special pet. 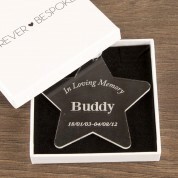 We personalise each star in house with the pet's name and the special dates. It has a loop of white ribbon attached so it is perfect to hang on a door or drawer handle - your pet will always be part of your family. Dimensions: Size approx 7.5 cm x 7.5 cm x 3mm thick.